Width (side to side) 104"
Height (bottom to top) 72"
Depth (front to back) 20.25"
Finish Warm gray vintage finish with white wax effect and replicated oak grain on door/drawer fronts. Case Detail Squared bracket feet. Storage TV stand center shelf is removable/adjustable. TV stand has 2 side shelves and 2 drawers. Each pier: Door opening (faux drawer look) 15.50" x 12.50" x 19.25"; Media opening 15.50" x 12.50" x 43.50"; Shelf opening 15.50" x 12.50" x 14.25"; Cord length 72.00". Bridge shelf. 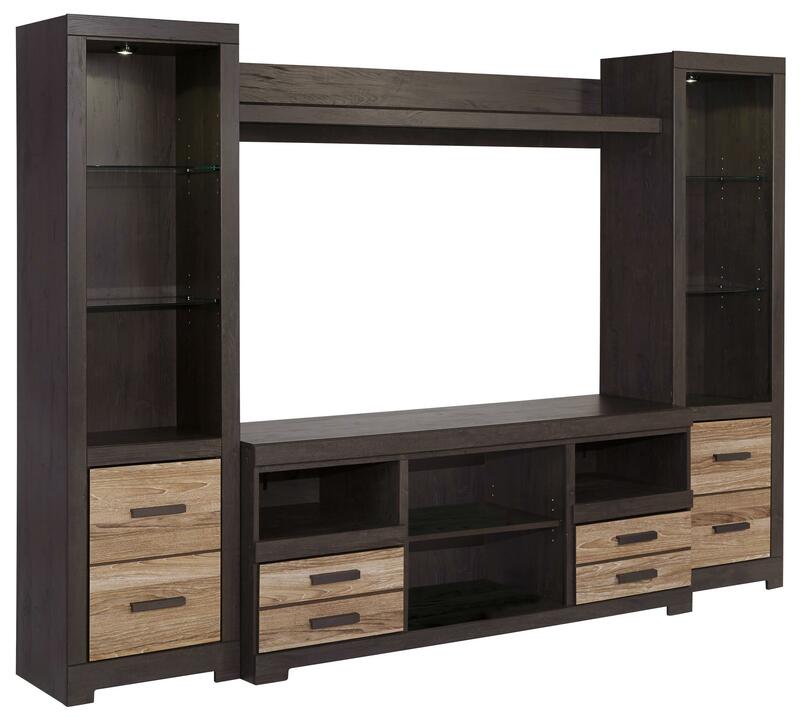 Accommodate your TV with the stylish modern design of this TV stand and tall pier set with bridge shelf. 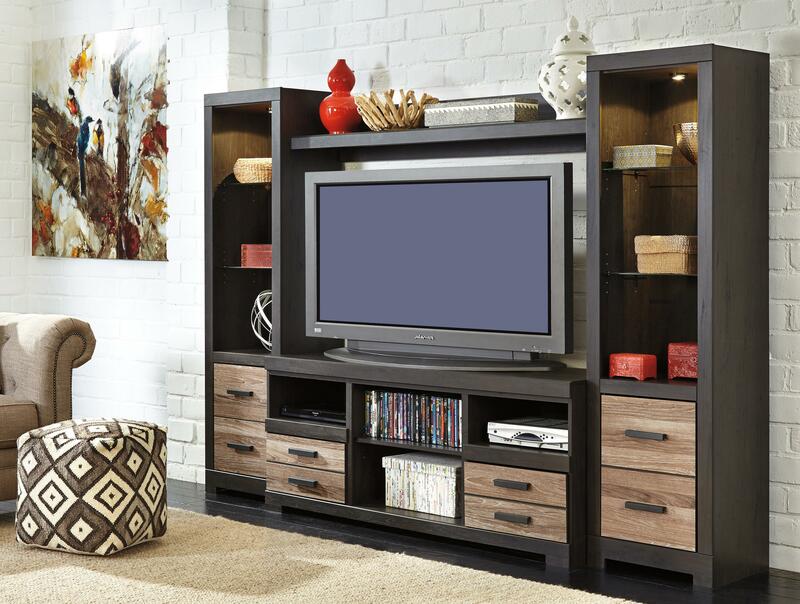 For storage, the TV stand features two side shelves and two center shelves for plenty of room for electronic devices. Two drawers with replicated oak drawer fronts and large matte black hardware provide contrasting style. Each tall pier bookcase includes a top light to highlight your accessories on the two adjustable glass shelves. The door with two shelves inside on each bookcase also provides functional storage. The center bridge shelf completes the storage and display space. Allow 6 to 8 weeks for delivery. Prices shown here reflect any specials applicable to online purchases. We will never sell or share your personal information with any third party. Your dream style is waiting. Sign up and receive a promo code for $25 off any purchase, no strings attached.